Around the world 1 billion people live with a disability, and 80 percent of them are in developing countries, with higher levels of disability among women, the poor, and the elderly. This is why we seek to include people with disabilities in all we do, not only to meet their needs but to ensure that they are a part of the solution to poverty that we hope to build. Our All Children Reading initiative announced winners for the Sign on for Literacy competition. World Vision is an inaugural member of the Excellence in Development and Disability Inclusion group. World Vision signed the Global Disability Summit Charter for Change and made 11 specific commitments to address disability inclusion. Unlike the night our Savior was born, there was no celebration when Minakhsy Roul came into the world. She was born with only partial vision. Read Shelby’s and Anne’s story, and see the transformative difference the right wheelchair has made in their lives as well as across their community. 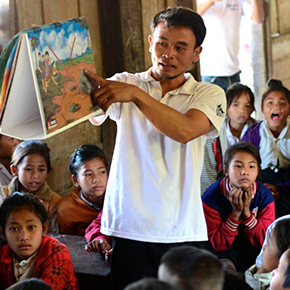 Yaok was 9 when a small bomb exploded near him, killing his brother, Vangsith, and three other children. Yaok and two others were injured. To save his life, his right leg had to be amputated. What is disability inclusion and why focus on it? Disability inclusion is one aspect of social inclusion, the process of transforming social relations and structures so that people and groups who are traditionally marginalized have increased opportunities, power, rights, access to resources, and agency. This enables them to shape cultural, economic, and political systems and participate in all aspects of social life. People can be marginalized due to many aspects of their identity, and women with disabilities often experience dual discrimination based on their gender and disability. People with disabilities experience exclusion not only because of physical, cognitive, or sensory impairments, but also from societal barriers that limit their meaningful participation. Though people with disabilities often need services such as rehabilitation or assistive technology, these services alone won’t address the root causes of exclusion. Only breaking down barriers in a community can do that. What barriers do people with disabilities face and what is your approach in breaking them down? People with disabilities face many forms of barriers in society, such as inaccessible environments (lack of wheelchair ramps or accessible latrines), harmful stereotypes or stigma around disability, and institutional structures not being accessible, such as laws and policies that do not consider the unique needs and contributions of people with disabilities. Women and girls with disabilities are further marginalized by barriers such as rigid gender roles and lack of decision making power in households and communities. 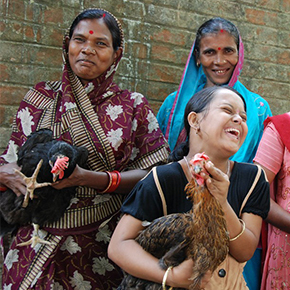 We conduct thorough analyses of gender equality and social inclusion in communities so we understand the barriers in specific contexts that marginalized people, including people with disabilities, face. We apply a twin-track approach to meeting the needs of people with disabilities by partnering with technical experts to offer rehabilitation services and then helping to break down societal barriers through our strong community and government relationships. By embedding rehabilitation services within community development activities, we come alongside qualified service providers and build an enabling environment for disability inclusion. How do you inspire change in the communities where you work? We promote attitudinal and behavioral change through training, advocacy, and stakeholder engagement, and ensure that universal access is a part of all reconstruction and infrastructure work. Engaging those with disabilities throughout program design, implementation, and evaluation is key to the success of disability inclusion. With funding from USAID, World Vision led the Accelerating Core Competencies for Effective Wheelchair Service and Support (ACCESS) project in India, Nicaragua, Romania, El Salvador, and Kenya. ACCESS strengthened the wheelchair sector and ensured that people with mobility limitations could access appropriate wheelchairs through qualified service providers and enjoy full participation in their communities. The project succeeded in providing wheelchair service to 7,319 clients and training 911 rehabilitation professionals on World Health Organization courses for wheelchair service. At the end of the project, 93% of wheelchair clients surveyed indicated that they experienced increased community participation and 43 wheelchair service centers showed increased capacity for service. This link between service provision and community development was the innovation of the ACCESS program, which is now being scaled up across World Vision’s wheelchair programs through our holistic approach Scaling Up 8+, providing wheelchairs and funding to bring sustainable innovation to existing wheelchair programs in Malawi, Kenya, El Salvador, and Tanzania. Launched in 2011 by USAID, World Vision, and the Australian Government, All Children Reading: A Grand Challenge for Development is an ongoing series of competitions that leverage science and technology to source, test and disseminate scalable solutions to improve literacy skills of early grade learners in developing countries. The recent Book Boost: Access for All and Sign On For Literacy prize competitions are driving innovation in accessible publishing and increasing access to sign language for children with sensory disabilities. In Ghana, India, Lesotho, Morocco, and the Philippines, ACR GCD funded extensive research, including adaptation of the Early Grade Reading Assessment to ensure children with disabilities are included in measurements of literacy acquisition and skills. Read more about All Children Reading’s innovations for children with disabilities. The Engaged, Educated, Empowered Ethiopian Youth (E4Y) project, funded by USDOL, addressed exploitative child labor in Ethiopia by promoting education and vocational training opportunities and enhancing livelihoods opportunities and access to social protection programs for youth and their households. E4Y worked with male and female youth from 7,500 households in Ethiopia, emphasizing inclusion of youth with disabilities while exploring opportunities for disability inclusion in the Ethiopian workplace. The project also focused on education by challenging teacher perceptions of gender norms and disability, aiming to improve teachers’ ability to meet the specific needs of children with disabilities. Youth with disabilities were provided with the necessary adaptive devices to access education and training, such as eyeglasses, crutches and wheelchairs. In Guatemala, World Vision implements the USAID-funded Puentes Project to improve the quality of life for youth ages 15-24 in the Western Highlands of Guatemala. This project focuses on particularly marginalized youth, including youth with disabilities. Vulnerable youth receive the information, knowledge, and skills to gain employment and economic opportunities as well as education, health, and social services. They also learn to engage local government, the private sector, and service providers to improve access to quality services and generate new employment and economic opportunities. 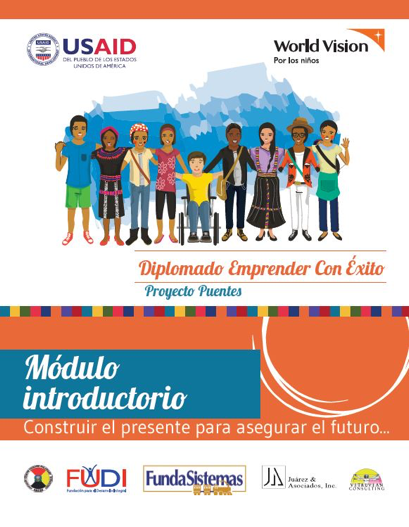 Project Puentes partners with a local federation of disabled people’s organizations to identify and recruit participants with disabilities and to ensure positive representation of youth with disabilities in the training materials and radio broadcasts. By partnering with a DPO, making activities and content accessible and communications inclusive, Project Puentes seeks to be transformational in increasing access to services, decision-making, equitable systems, and meaningful participation of people with disabilities. Through its Child Protection and Education Signature Initiatives, World Vision’s efforts ensure girls and boys with disabilities are included in the decision‐making processes that affect their lives. We work with community leaders, parents, and other stakeholders to strengthen support systems for children with disabilities. These initiatives also focus on advocacy, awareness raising, and inclusive education for children with disabilities, including access to schools, protecting children with disabilities from all forms of violence, and de-stigmatization. The evaluation of the USAID-funded ACCESS project found that the project adequately strengthened the wheelchair sector and ensured that all people with mobility limitations, especially women and children, can enjoy full participation in their communities. 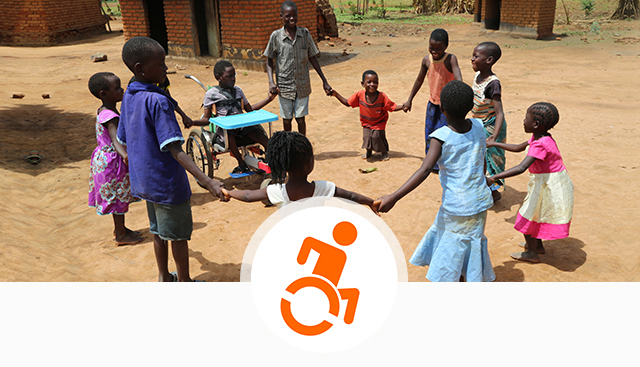 World Vision applies a twin-track approach to meeting the needs of people with disabilities. Your monthly gift will help provide life-changing resources such as crutches, prosthetic limbs, and wheelchairs. It will also allow trained, local caregivers to meet critical needs of children with disabilities. You’ll be easing the challenges for caregivers and providing compassionate, life-enhancing support for boys and girls who are precious in God’s sight. In developing countries, birth defects, land mines, and diseases such as polio, have left millions of children unable to walk. 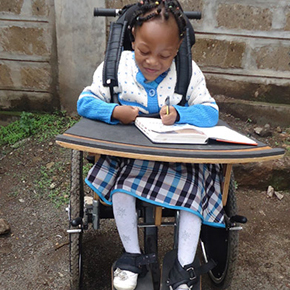 Thanks to our partnership with Free Wheelchair Mission, you can empower a child with a custom-fit wheelchair and the hope for a better tomorrow. Your gift also helps provide prosthetics and rehabilitation for children.